Wasserman Projects artists Christian & Matthias Verginer are presenting an exhibition of new sculptural works at Galerie van Campen & Rochtus (Antwerp). The opening reception is Thursday March 14th at 7:00pm and the exhibition will be on view through April 21st, 2019. 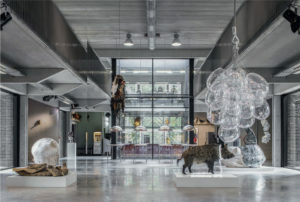 The Architect’s Newspaper just featured an article on the design and concept of Wasserman Projects artist Koen Vanmechelen and architect Mario Botta’s “LABIOMISTA”, the 60-acre animal + art sanctuary in Genk, Belgium, opening to visitors summer 2019! New York Botanical Garden has announced that Michele Oka Doner will be one of its 2019 Artists in Residence for its year-long residences and will be creating site-specific work and programs for sharing her lifelong study and appreciation of the nature world. Also, check out the video of Linnenbrink as he describes his process in the studio and the work he produced for this current show at Miles McEnery Gallery. This winter, Wasserman Projects artist Esther Shalev-Gerz will have two major group exhibitions in Paris. Shalev-Gerz’s installation “Between Listening and Telling, The Last Witnesses, Auschwitz 1945-2005″, will be part of Regards d’Artistes, a group exhibition organized by the Mémorial de la Shoah. 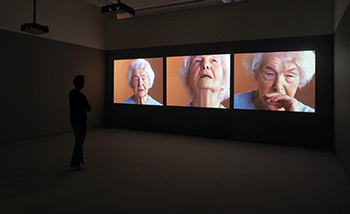 Her installation “First Generation” from 2004 is part of Persona Grata, a group exhibition organized by the Mac Val and the Cité de l’Immigration, Paris. 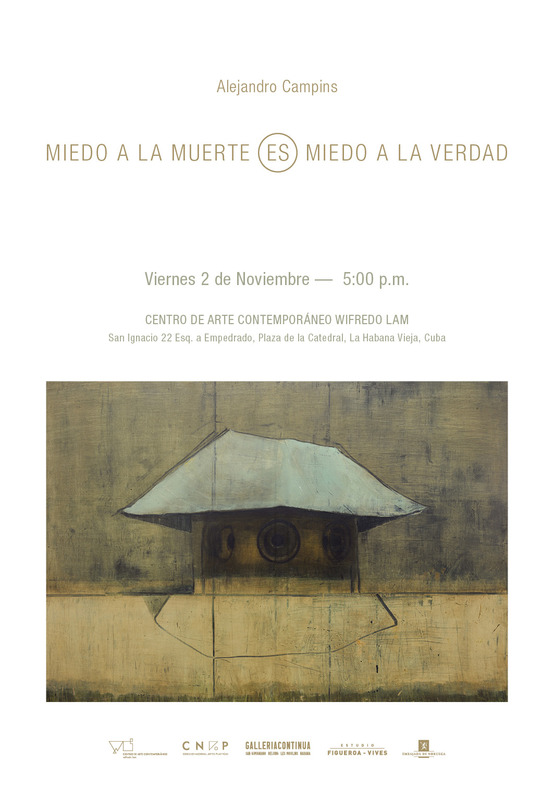 Wasserman Projects artist Alejandro Campins opens his solo exhibition “Miedo a la muerte es miedo a la verdad” on Friday, November 2nd, 2018 at the Wilfredo Lam Center of Contemporary Art in La Habana Vieja, Cuba. 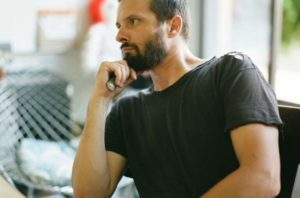 CV Henriette of Detroit’s digital cultural communication platform DetroitIsIt catches up with Wasserman Projects artist Jason Yates in Los Angeles about his memories of Detroit, his move to LA, and the people who have influenced his life and work. Wallpaper’s October feature of Wasserman Projects artist Koen Vanmechelen and architect Mario Botta’s “LABIOMISTA” animal + art sanctuary in Belgium. 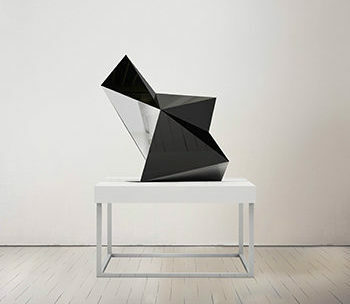 Spencer Brownstone Gallery will be featuring Flat End Dome, their first solo exhibition of works by Shane Darwent showcasing three new large sculptures and a collection of various sculptural and photographic works from the past year. The exhibition will open with a reception on September 12 and will be on view through October 28, 2018. 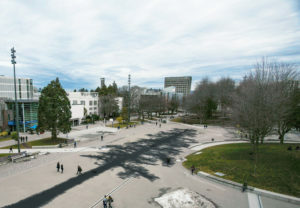 Announcing the inauguration of Esther Shalev-Gerz’s The Shadow (2015-2018) commissioned by the University of British Columbia, a permanent installation of 25000 three-shade cement pavers embedding a ghostly silhouette of a first-growth Douglas fir across the expanse of University Plaza, which is situated on the traditional, ancestral and unceded territory of the Musqueam people. Join the inauguration of this majestic public artwork on Sunday, September 16th, 2018 at 4pm @ Belkin Art Gallery, UBC, with music composed by UBC School of Music PhD candidate Ramsey Sadaka and a tree tour by UBC Horticulture’s Egan Davis. 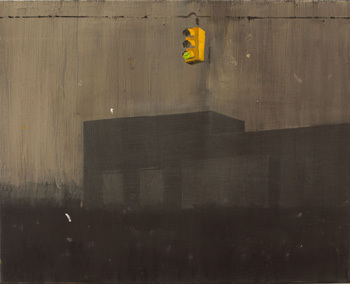 yours mine & ours gallery in New York will be presenting “BLACKOUT”, a solo exhibition of new work by Matthew Hansel. Exploring the dark space wherein we allow ourselves to creatively take a leap of faith, Hansel crossbreeds traditional modes of European painting with comic imagery, all the while coating these recognizable images in shades of grey awaiting illumination. This exhibition will be on view from February 9 – March 25, 2018. 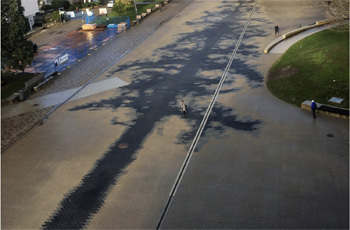 Esther Shalev-Gerz will have a new permanent installation, The Shadow, 2017, on the campus of the University of British Columbia, Vancouver, Canada. This month Schweder — calling himself the Schweder Office of Architectural Performances, or SOAP — brought a new performance piece, “Architectural Advice for Performative Renovations,” to Edward Cella Art & Architecture, the gallery on La Cienega Boulevard. 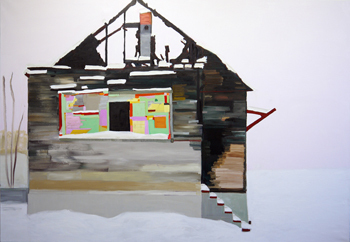 It’s part of a new annual show there called “Vernacular Environments,” which in this edition includes work by Robert Smithson, Stephen Berens, Jennifer Bolande and Raúl Cordero, among others. Wasserman Projects artists Willy Verginer and Koen Vanmechelen will both be included in the upcoming exhibition “The Beauty of the Beast” at the Royal Museum of Fine Arts Antwerp. This exhibition features a comprehensive survey of artworks, spanning centuries of time. 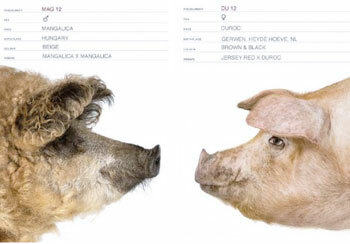 The exhibition is centered around animals and their impact on art and history. This exhibition opens May 25, 2017 and will be on view until October 15, 2017. Wasserman Projects artist, José Yaque, is presenting new work at the 57th Venice Biennale from May 13th to November 26th, 2017. The work, OPEN TOMB II, an installation of 3473 glass bottles, water and plant residues, at the Cuban Pavillion in the Palazzo Loredan in Campo S. Stefano, is presented in conjunction with Galleria Continua. 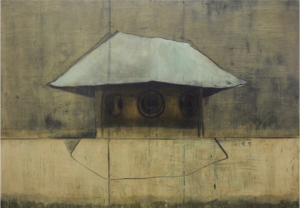 Alejandro Campins first solo show in Italy, titled “Declaracion Publica”, opens at Galleria Continua in San Gimignano Saturday, May 13th, and runs until August 28, 2017. This exhibition features works from the original series “Declaracion Publica”, as well as a fresco. The series, initiated in 2015, portrays amphitheaters built in Cuba after the Revolution. At this year’s 57th Venice Biennale, Belgian artist Koen Vanmechelen makes a striking statement about the stance of the human animal on a rapidly transforming planet. 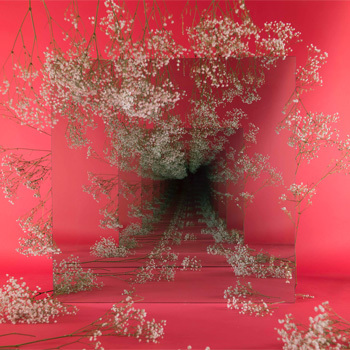 Vanmechelen’s twelve-meter high mixed media installation, titled “Protected Paradise”, will be towering above the magnificent garden of the Palazzo Franchetti, a few steps away from the Grand Canale. 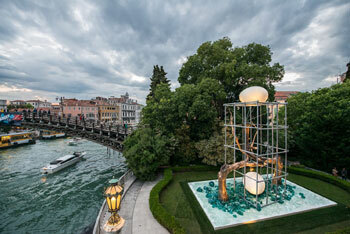 It consists of two bronze trees, a 4m chicken claw, glass, marble and glass fiber egg and an impressive cage made by Eco-oh! out of recycled material. This work will be on display May 13 – November 26, 2017. Artist Mark Hartman was recently a guest on the B&H Photography Podcast discussing his newest series of work, titled “Island”. This series of portraits captures people experiencing New York’s famous Coney Island. The series has garnered attention and coverage through many different media outlets. See links below for articles and a link to the podcast. Selections from Mark Hartman’s “Island” series are currently on view at Wasserman Projects through June 24, 2017. Esther Shalev-Gerz will be opening a year long solo-exhibition at Gustaf Serlachius Museum in Mänttä, Finland, April 1st, 2017. This exhibition features four interweaving series of works created over the past decade, and will include a published catalogue. Last November Esther inaugurated her latest commission The Gold Room, 2016 in the group exhibition History Unfolds in the Swedish History Museum. It is on view until November 19th, 2017. 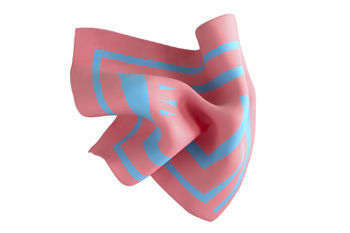 For the months of February to May, Esther’s work Sharing a World, 2016 (Computer-generated image, natural pigments on archival paper, 90x75cm) will be displayed in 12 cities of the region of Gothenburg as a part of the project Contagious Concern and Courage. Esther Shalev-Gerz is also one of the short listed- artists in the competition for an artistic intervention in Plateforme 10, a 22,000 square meter area devoted to culture that will gather in the heart of Lausanne the MCBA, the Musée de l’Elysée and the MUDAC. Residency Unlimited will host a conversation with artists Alejandro Campins and José Eduardo Llorente Yaque, featured artists in the upcoming exhibition at Wasserman Projects, City of Queen Anne’s Lace. Artists will engage with curators Mary-Kate O’Hare and Rafael DíazCasas. Together they will explore works that are deeply engaged with nature and the various urban spaces they inhabit across the world. The conversation will include a discussion of the artists’ individual practices, ranging from painting to installation and beyond, as well as their work’s reflection on memory and time, and the way they navigate the global art world. Campins and Yaque will also examine their upcoming exhibition City of Queen Anne’s Lace in Detroit with Wasserman Projects curated by DiazCasas. In planning for over a year, this exhibition comments on the history of Detroit using architecture as a window, viewing the city’s future through its past and present. 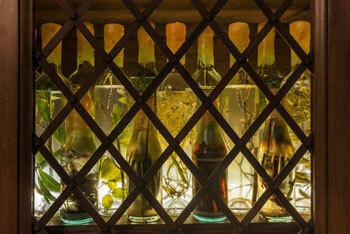 The conversation will take place at Residency Unlimited in New York, Tuesday, March 21, at 6:30 PM. This event is free and open to the public. 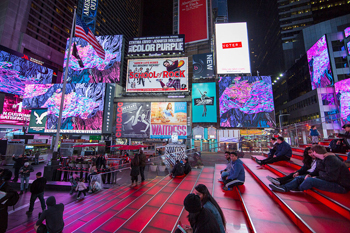 Dream Season, Emilio Perez’s first ever video animation is a journey through the artist’s language of drawing and painting created specifically for Times Square Art’s Midnight Moment experience. Inspired by the rhythms and energy of the crossroads of the world and the starting point of the first transcontinental highway in the United States. Through a series of collaged drawings, painted gestures and layers of atmospheric color that recall distant galaxies, this video animation ebbs and flows like the never-ending crowds that pass through the city and the bodies of water that surround it. The twisting shapes and lines spontaneously moving and shifting across the giant cinematic screens will give the viewer the freedom to be transported to other worlds of their own creation. Gerhardt Knodel has just received the 2016 American Craft Council Gold Medal Award for Consummate Craftsmanship. The American Craft Coucil Awards honor outstanding artistic and scholarly achievement, leadership and service in the field of craft. The Gold Medal Award for Consummate Craftsmanship is the highest honor, recognizing a lifetime of achievements. This year’s ACC award ceremony will take place October 14th, in Omaha, Nebraska. 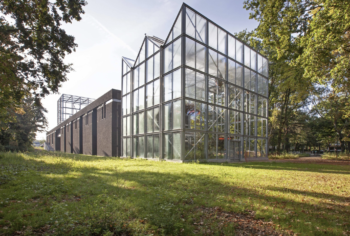 Alex Schweder and Ward Shelley have debuted their most recent work of performance architecture, ReActor, at Omi International Arts Center in Ghent, NY. 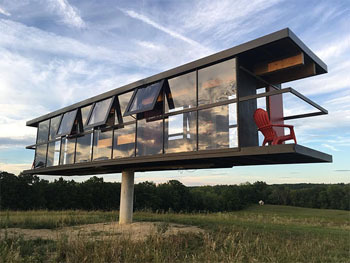 Created as a habitable structure, ReActor measures 44-feet by 8-feet, and rotates 360-degrees balanced atop a 15-foot concrete column. 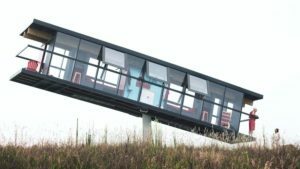 The structure responds to its inhabitants’ movements, exterior forces, and interior conditions, highlighting the relationship between architecture and its inhabitants. A performance is planned for October 6-10, 2016, where the pair will live inside ReActor for five days. Click links below for full articles about the project. Esther Shalev-Gerz was recently featured on the cover of “The Detroit Jewish News”. Titled “Moments of Humanity”, the article discusses Shalev-Gerz’s career as an artist and educator, highlighting the significance of several works that are currently on display until July 9th, in the exhibition ‘Space Between Time’ at Wasserman Projects. 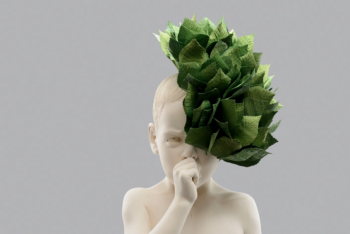 Italian sculptor Willy Verginer is exhibiting works from the series ‘Human Nature’ at Adrien/Kavachnina Gallery in Paris. Verginer thoughtfully observes the world around him, and through his wood sculptures materializes existential, social and environmental concepts. The exhibition is on view from June 16th -July 17th, 2016. Markus Linnenbrink has finished installing a 40,000 square foot mural that covers the exterior of the SLS Brickell building in Miami. Commissioned by Jorge m. Pérez, Linnenbrink’s drip style painting succeeds in giving the district a burst of color. 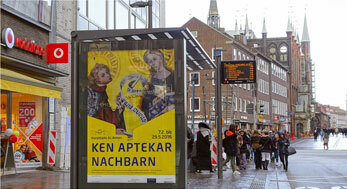 Ken Aptekar’s recent exhibition ‘NACHBARN’ (NEIGHBORS) in Lübeck, Germany has garnered attention world wide. A recent review of the exhibition was published in India’s national newspaper, “The Hindu”. Arts philanthropist, Ranvir Shah, has captured the essence of Aptekar’s project in a way that connects the overarching themes of human interaction and understanding to relevant international issues between societies and individuals. 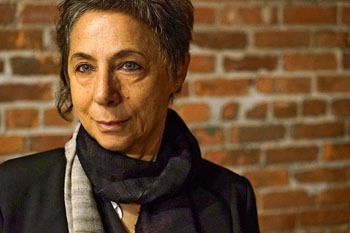 Nancy Mitchnick has been selected by the American Academy of Arts and Letters as a recipient of the organizations 2016 art awards. The awards will be presented in New York City this May at the Academy’s annual Ceremonial. The art prizes and purchases, totaling over $250,000, honor both established and emerging artists. 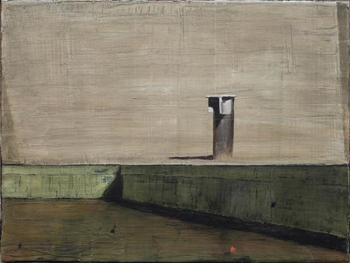 Several of Mitchnick’s paintings are included in the Academy’s Exhibition of Work by Newly Elected Members and Recipients of Honors and Awards, which is on view May 19 – June 12, 2016. Nancy Mitchnick’s solo exhibition ‘Uncalibrated’ will be on view at the Museum of Contemporary Art Detroit until July 31, 2016. 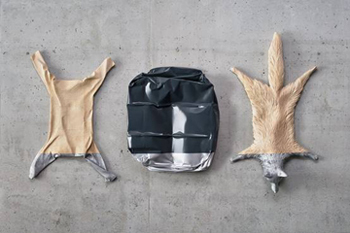 Esther Shalev-Gerz’s ”Les Inséparables” will be publicly installed on a rooftop in the center of Geneva May 12, 2016. 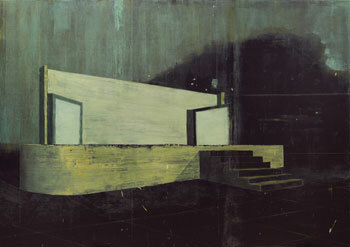 This work was acquired by the Contemporary Art Fund of the City of Geneva, and will remain in the city’s collection. The hands of the double clock move simultaneously forward and backward into time and will be put into motion at midnight on Saturday May 21, during the city’s Museum Night event. 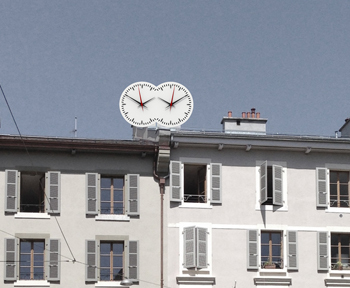 To celebrate the permanent installation of her monumental double-clock ”Les Inséparables”, the Municipal Contemporary Art Fund of the city of Geneva will present an exhibition of documentary videos spanning three decades of Shalev-Gerz’s artistic works and permanent installations in public spaces. 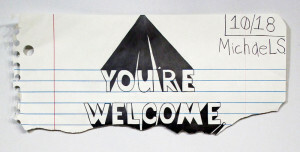 Opening on Thursday May 12, the exhibition will be on display until Sunday May 22. In addition to the major public installation of ‘Les Inséparables’, the artist is also exhibiting work at Sprovieri Gallery in London May 12 – June 18, 2016, and at MAMCO in Geneva May 21 – September 4, 2016. 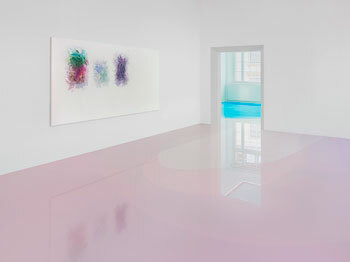 Ken Aptekar presents ‘NACHBARN’ (NEIGHBORS), a solo exhibition at the St. Annen Museum in Lübeck, Germany. 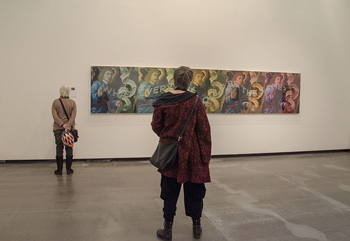 This exhibition will include paintings, silverpoint drawings, and video installations that create an interesting dialogue between the Renaissance Christian art in the St. Annen Museum and the imposing 1870’s synagogue located next door. NEIGHBORS proposes that paintings from the past can prompt Lübeck’s Germans, Russian Jews, and Turkish Muslims, to recognize the similarities present among each group. The exhibition runs February 7 – May 29, 2016. Sculptural works by Harley Valentine will be featured in a two person show with Michigan artist, Matt Schlian at Thomas Riley Studio in Naples, Florida. This exhibition brings together two artists that share similar visual references but are dynamically opposed in terms of concept and material. Exhibition runs January 14th – February 13th, 2016. 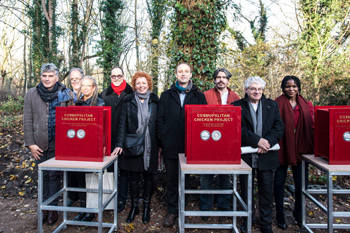 On December 9th, 2015, Belgian artist Koen Vanmechelen officially launched ‘La Biomista’, the new artistic site that he is developing together with the city of Genk, Belgium. La Biomista will serve as Vanmechelen’s new headquarters, a central hub from which the renowned artist will manage several multidisciplinary projects, including the Cosmopolitan Chicken Project. Wasserman Projects’ Artist, Michael Scoggins’ work is getting attention in print and on screen, from reviews of recent exhibitions to a cameo on USA network’s sitcom Donny! Click links below to read full articles. 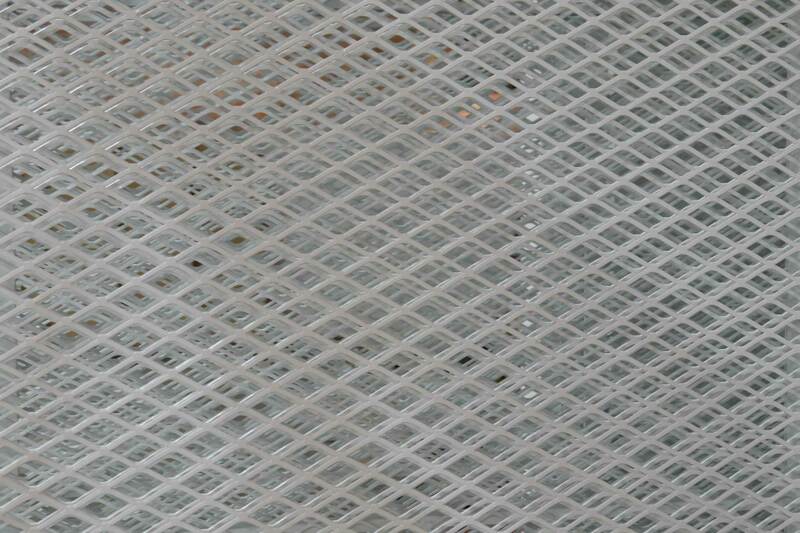 Esther Shalev-Gerz will participate in Asia Time: Timely Meditations, curated by Henk Slager. She will present her installation On Two, 2009 as well as her neon work Potential Trust, 2012-2014 in the Guangdong Museum of Art, Guangzhou, China – Opens December 10th, 2015. 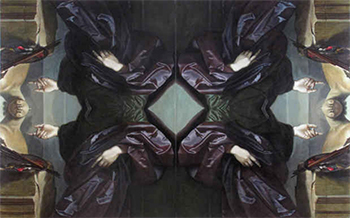 Matt Hansel is currently exhibiting work in The Lodge Gallery’s exhibition: Reverence and Reverie. The exhibition is on view November 6th – December 13th, 2015. Hansel was featured as “Artist to Watch” in Nakid Magazine’s Fall Issue. Click below to read interview by Ekaterina Kouznetsova. 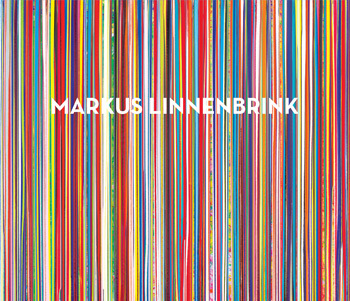 Markus Linnenbrink will be unveiling one of his most significant commissions to date this February 2016. A massive 7 by 90 foot poured resin painting will be installed in the Concourse Lobby of 75 Rockefeller Center. 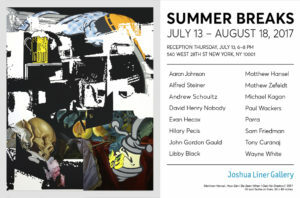 If you are in NYC, make sure to stop by. Located on 51st Street between 5th & 6th Avenue is the limestone clad Rockefeller tower with views of it’s legendary skating rink. The 1947 building is historically significant as the original headquarters of Rockefeller’s Standard Oil Company. The building underwent a recent comprehensive renovation by Architectural firm Kohn Pedersen Fox in New York. The renovation includes a Block to Block Concourse Lobby connecting 51st and 52nd Street where Markus Linnenbrink’s 7 x 90 foot poured resin painting will be installed. 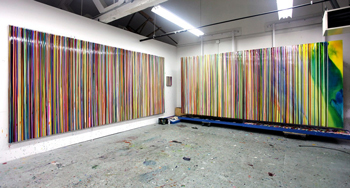 Constructed in continuous panels, the ninety foot painting is the largest discreet work achieved by Linnenbrink. The painting will be visible to those walking inside or outside the concourse as it stretches across the limestone clad wall. The curators of the United States Pavilion at the 2016 Venice Architecture Biennale are looking for photographs that capture the essence of the city of Detroit. 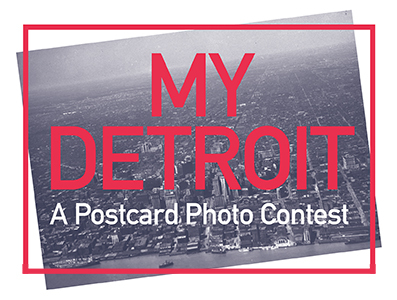 Photographers of all ages – amateurs and professionals, residents of Detroit and residents of the world – are invited to enter My Detroit, a postcard photo contest. Twenty photos will be chosen for dissemination as postcards at the 2016 Biennale, representing Detroit in Venice. Photos can include cityscapes, city scenes, street encounters, accidental revelations, buildings, architectural details, or personal reminiscences – any view of Detroit in the spirit of urban exploration and architectural invention inside the city limits. The postcards will supplement materials in The Architectural Imagination exhibition with images of life in Detroit. They will be displayed in postcard racks in the US Pavilion, where visitors can take one or more of the complimentary cards as mementos of the show. The postcard photos will also be published in the exhibition catalog. The competition begins October 14, 2015, and will accept submissions until 11:59 p.m., December 31, 2015. Entrants can submit up to five photographs, but each must be on a separate entry form. Two distinguished judges will review the entries and choose the twenty winning photographs in January 2016. 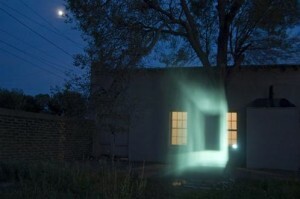 Wasserman Projects’ artist, Alex Schweder will present a special one night installation of his work “Evaporative Buildings” at Eastern Market After Dark in conjunction with Detroit Design Festival on Thursday, September 24, from 7-11PM. The installation incorporates mechanically generated mist and snow as “screens” for a cyclical loop of video projection, in which colored rectangular shapes recess one behind another, rising, falling, and moving through the mist in ever-shifting patterns. The shapes resemble stacked architectural sections at one moment and phantasmal apertures the next in unreliable exits and entrances, flickering greenly in the mist and snow. Schweder’s installation will be located in the heart of Eastern Market, next to Shed 3 on Adelaide – just East of Russell Street. Expanded from the preview presented at Wasserman Projects in September 2014, Gerhardt Knodel opens his exhibition “Let the Games Begin” at the Art Museum of American University in Washington DC on September 12, 2015. In Knodel’s latest work, gaming-based strategies provide both a visual and conceptual point of entry. Like game playing, involvement often yields unexpected consequences. Approached as pure entertainment, games can evolve into unexpected experiences with both a lighter and a darker side, subtle shifts in expectation relative to outcome. Likewise with art. 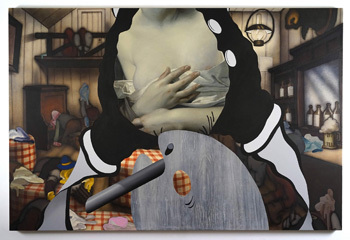 His work poses questions about art and life in the 21st century. 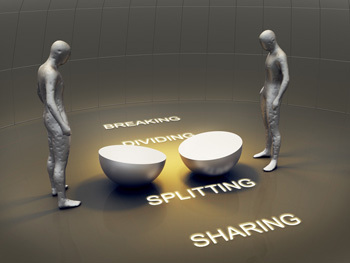 Can the act and associations of playing a game be visually communicated? Can the rush of excitement that comes with winning be found in objects that are physically quiet and experienced at a distance? Can the frustration of playing games that cannot be won become a link in understanding the goals of art in which there are no right or wrong answers? 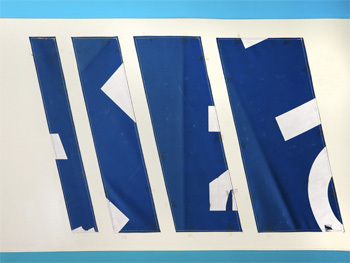 His work centers on four groups of work – conceptual games with historic textiles; visual games; dexterity games; and gaming with ideas about art. Each of the groups leads the viewer to art experiences inspired by thoughts about competition, accumulation and loss, human relationships, mind manipulation, the endless repetition of the patterns of life, and the tension between informed authority and self-discovered knowledge. 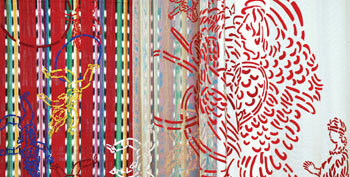 Knodel intends the work to provoke consideration of links to the world of textiles in unexpected and provocative ways. “Let the Games Begin” at the Art Museum of American University is on view through October 18, 2015 and is accompanied by a major publication “What If Textiles: The Art of Gerhardt Knodel”.